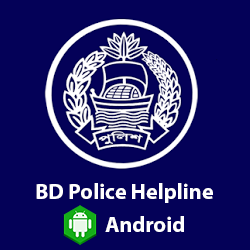 In response to changing domestic and global needs, Bangladesh Police puts increasing emphasis on training activities to build the existing capacity of its workforce. The focus is on need based training using state of the art methods and strategies. 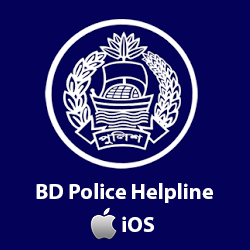 Bangladesh Police is committed to help its force members develop their skills and career by providing them the opportunity to attend both internal and external training courses. After joining the service, officers undergo year-long basic training at Bangladesh Police Academy as ASP Probationers. There they participate in knowledge and skill learning courses on law, physical training, driving, computer and equestrian skills, musketry etc. After this they undergo six months of practical training in a district as a Probationer. Then they have to attend the Foundation Training at Bangladesh Public Administration Training Center (BPATC). They also have to take part in different in-service training courses home and abroad. These include BMA Orientation Training Courses, Survey and Settlement Course, Aid to Good Investigation Course, Close Protection Course, and Orientation Course for SCO officers, Induction Course on Passport Verification Roll and Third Eye Course and SB Training School. Throughout their professional life, they are subject to skills development trainings. These comprise of courses on investigation, financial management, human rights, forensics and financial crimes at Police Staff College, SB and CID. Recruitment is followed by a year-long training course at Bangladesh Police Academy as Outside Cadets. After this the recruits are put through another year-long practical training with different police units. Sub Inspectors also undergo different in-service training courses at both home and abroad. At CID they undergo courses like Prevention of repression on Women and Children, Special Training Course on Human Rights, Prosecution and Investigation Courses, Post-blast Investigation Course, Training Course on Technology-based Investigation, Special Investigation Training Course etc. At Special Branch (SB), they have courses like Basic Immigration Course, Pre-immigration Course, Basic Intelligence Course, Short term Intelligence Course, Basic Surveillance Course, Staff Development Course and Third Eye Course etc. 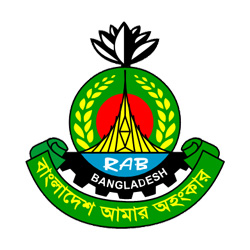 Once recruited, a Sergeant undergoes a six-month long training program at Bangladesh Police Academy as a Probationary Sergeant. After passing out from the academy, they are put through 6 month long orientation training in their place of posting as a probationer. In addition to these trainings, Sergeants also undergo different internal and external training courses at both home and abroad. These include special training courses on Human Rights at Detective Training School (DTS), CID, Basic Immigration Course at Special Branch and Refresher Course at Police Training Centre, Noakhali. After recruitment constables undergo a six month basic training at different centers including Bangladesh Police Academy as Trainee Recruit Constable (TRC). But while rendering services at different units, constables also undergo different in service training courses for their skills development and professional growth. These include Immigration Orientation Course, Basic Surveillance Course, Orientation Course for SB Protection Officers, Orientation Course for SCO Officers, Orientation Course on Passport Verification Roll conducted at SB Training School. 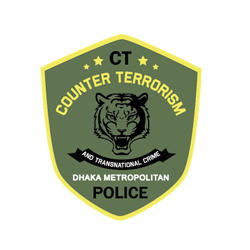 Moreover, constables also attend driving courses at TDS Dhaka, MDTS Jamalpur, BRTA and Bangladesh- German and Bangladesh- Korean Technical Training Centers, Computer Training Courses at Police Telecom Training School, Bangla Academy, Engineers’ Institution and different in-service centers.